Before you begin to advertise your home, here are a few things you’ll need to know how in order to position and present your home to attract ideal buyers. First, properly stage each room so it appears welcoming. Remove extra items that would make your rooms appear cluttered. Here is a list of the different types of photos you’ll need. 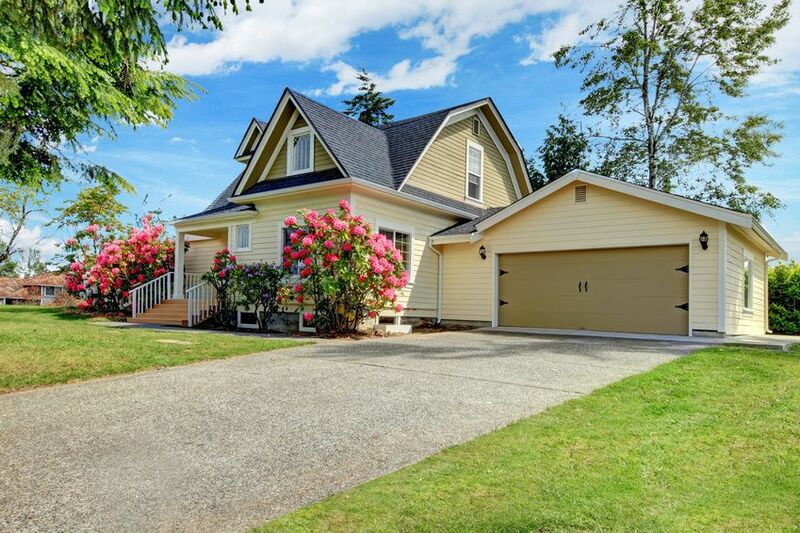 Curb Appeal: At least one great photo of the front of your home (from the curb). Remove vehicles from the driveway, as well as any bikes, toys or other items from the lawn. Add a front door wreath, potted plants or hanging baskets to make your home appear welcoming. Room Angles: Take one photo of each room from the widest angle, and capturing the focal point of the room (fireplace, bed, sitting area, etc.). The goal is to make the room appear large but inviting, a place someone would feel right at home. Back Yard: Step back as far as possible in order to get a long, wide shot of your backyard so it appears as large and appealing as possible. Remove all unnecessary items from the yard. Your prospective homebuyer should be able to envision what it would be like to entertain in this space. Take at least two back yard photos. Describing your home in an inviting way is critical to draw potential prospects for viewings. Be unique in your description. Think about the lifestyle your home represents. Here are just a few samples to assist in your creativity. Sample A: This gorgeous property spans almost 200 acres and would be ideal as a residential development, a horse or cattle farm, or a private estate. It includes more than a mile of highway frontage and over 3,900 feet of frontage on the Alcovy River. The historic Antebellum house has been renovated in its original style to preserve authenticity, and is perfect for large families or people who love to entertain. The traditional front porch view is ideal for early morning or late afternoon gatherings. This property boasts many other amenities, including a large red barn and a charming, detached guesthouse. Sample B: Picture perfect scenery on Lake Burton at such an affordable price! Walk right out to your gorgeous double slip boathouse on a quiet and peaceful cove. This two-story, four bedroom home has an extended front porch overlooking the lake and boathouse. It includes three acres of beautifully landscaped property, a curved path to the boathouse and mature trees. Nearby amenities include fishing, a playground and a marina. A perfect choice for privacy or for people who love to entertain! The panoramic lake view provides gorgeous sunsets in all seasons. If you’ve dreamed of waterfront property, this could be your ideal lifetime home! Sample C: This property spans 25.8 rolling acres with a creek visible from either of the front porches. The winding driveway meanders through an orchard-like setting to a full view of an exquisite house on a hill . Majestic doesn’t describe it. It is a monument to family and in perfect condition to start creating a lifetime of memories! Perfectly suited for the mid-town executive and their family as a living retreat. Not just a home, but a refuge, farmer s estate or horse lover s dream. Sample D: All the splendor of a 100 year old home but renovated with all modern conveniences. The attention to detail and trim work in its bungalo style architecture is outstanding. This charming home is in superb condition and has a neutral palette to suit any type of decor. Stainless steel kitchen appliances, a cozy breakfast area and a formal dining room that seats 12+. Large master suite and classic hardwood floors throughout. The guest bathroom beautifully balances a claw foot tub and chandelier framed in custom wood trim. Enjoy outdoor entertaining? This wraparound front porch and large back deck offers the perfect setting, and the curb appeal is simply stunning. Located in Historic Jefferson and within walking distance to Jefferson City Schools. There are several options to advertise your For Sale By Owner home. Here are just a few. Some offer free listings while others vary by city and media. Print: There is generally a For Sale By Owner section in most newspapers. The local community newspapers are usually the most cost-efficient option (versus daily newspapers). Flyers: Most prospects who drive through neighborhoods of interest will appreciate being able to grab a flyer from your front lawn. In our Advanced FSBO Kit, we design those for you and provide 100 copies. We also provide a flyer box that you can install in your front yard for passersby. Online: There are numerous online options for advertising your home. Here are just a few recognized options. Be sure to carefully read through their rules and guidelines before posting your home. Google Ads (This is a paid search option) Google does a great job of providing free tutorials on using their advertising platform. Consider this option if you have a lot of free time to set up your campaign and monitor it daily. Michael Carr & Associates has provided Google Adwords campaigns for most of our clients, and we provide this option in our Advanced FSBO Kit if you’d like to learn more. Phone Number: Make this as large as possible so passersby can easily read it from the street. Also ensure that this is a number where you (or someone in your family) can be reached all throughout the day. Website Address: This is optional, but tf you have information about your home available online, be sure to list your web address on the sign. The shorter your web address, the better (i.e. SampsonStreetHome.com). Showing Options: We recommend ‘Shown By Appointment’. This lets prospects know they will need to call to schedule a showing. Otherwise, you could experience multiple door knockers at all times of the day and evening! Ad copy refers to very shortened versions of the home description that you’ll need for any print or online advertising. Most FSBO listing platforms and advertising resources allow a maximum number of words or characters to promote your home. Here are a few examples of recent Google Adwords campaign ads which will illustrate how you can shorten the description to display the most critical information about your home, designed to get the prospect to investigate further.